With competition for top employees at an all-time high, companies are looking for ways to stand out. 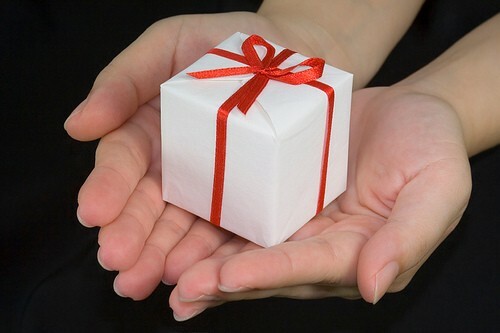 Many have implemented corporate giving programs, such as matching gifts, which allow their employees to contribute to causes close to their hearts. Here are seven with unique matching gift programs. BHP Billiton is the world's largest mining and petroleum company (based on 2011 revenues) headquartered in Melbourne, Australia, and employs more than 46,300 people. BHP's matching gift program is unique in that it's not only very generous (matching donations up to at a one-to-one ratio), but it offers fundraising matches, also. If you participate in a fundraising event (a walk, run, bike, etc. ), BHP will match all donations that you personally collect. BHP will also match donations raised for events hosted exclusively by BHP employees. In fiscal year 2013, BHP Billiton reported $7.5 million in contributions (including matching gifts) to more than 1,500 nonprofit organizations. Dominion Resources (most often referred to as Dominion), a power and energy company headquartered in Richmond, Va., has 15,500 employees. In 2012, Dominion contributed more than $21 million in corporate giving. Dominion's matching gift program is available to an array of people, including current full-time and part-time employees, as well as retired employees and current members of the Dominion Board of Directors. Donations are matched on a dollar-for-dollar basis up to $5,000 per calendar year. General Electric (GE) is an American conglomerate corporation headquartered in Fairfield, Conn., and employs 305,000 people. GE was ranked the 26th largest company in the United States by gross revenue in 2011. GE is unique in that it laid the foundation for corporate giving in 1954 by creating the very first matching gift program. In 2012 alone, the GE Foundation Matching Gifts Program matched gifts totaling almost $38 million. GE has an incredibly robust matching gift program, matching donations up to $50,000 from employees and retirees (including surviving spouses of eligible GE retirees) to most American and U.K.-based nonprofit organizations. Hewlett-Packard Co. (often called HP) is an American information technology corporation that was founded in 1939 and is headquartered in Palo Alto, Calif. In 2012, it was the world's largest PC vendor by unit sales, and it employs more than 317,500 people. HP offers two kinds of matching gift programs. The first is called the HP Cash Matching Program, which provides a dollar-for-dollar match up to donations of $1,000 per employee every year. The second program is called the HP Employee Product Giving Program, in which technological equipment is donated to eligible nonprofit organizations. An HP employee contributes 25 percent of the list price of the HP product, and HP will contribute the remaining 75 percent, up to $15,000 worth of technology. Full-time and part-time employees are eligible to participate in these programs, as are retirees. HP has made monetary and technological donations to nonprofit organizations totaling $48 million since 2007, including $25 million worth of HP technology. Johnson & Johnson is an American medical device, pharmaceutical and consumer packaged goods manufacturer that employs nearly 118,000 people. It was founded in 1886, and is headquartered in New Brunswick, N.J. From 1998 to 2005, it was ranked at the top of Harris Interactive's National Corporate Reputation Survey. Johnson & Johnson has a unique and generous matching gift program, providing matches to employee donations of up to $10,000 at a two-to-one ratio for current employees, and up to $10,000 at a one-to-one ratio for retirees. In 2012, Johnson & Johnson reported more than $131 million in cash giving. Soros Fund Management LLC is a private, American investment management firm located in New York City that was founded in 1969. SFM was reported in 2010 to be one of the most profitable firms in the hedge fund industry. Despite employing fewer than 500 people, SFM has one of the most generous matching gift programs in existence. Soros will match employee donations of up to $100,000 at a three-to-one ratio to most eligible nonprofit organizations. Partner donations are matched at a two-to-one ratio. The maximum company contribution per calendar year is $300,000. Soros Fund Management also provides grants to nonprofits where employees volunteer on a regular basis (at least 20 hours). From 20 to 39 hours, SFM will provide a $1,000 grant; 40 to 59 hours yields a $2,000 grant; 60 to 79 hours earns a $3,000 grant; and more than 80 volunteer hours yields a $4,000 grant to a nonprofit organization. State Street Corp., more frequently called State Street, is an American financial services holding company that employs nearly 30,100 people. Founded in 1792, it the second oldest financial institution in the United States. State Street has two matching gift programs employees can participate in. The first, "GiveMore," matches employee donations at a one-to-one ratio to most eligible nonprofit organizations. The donation limits vary depending on the role of the employee: Board of Directors, CEO, President, and Vice Chairs have a limit of $35,000; Executive Vice Presidents have a $25,000 maximum; Senior Vice Presidents a $15,000 maximum; and all other employees have a $5,000 maximum donation match. Spouses of employees are eligible to have their donations matched if the donation is listed under both names. The second program, "CollectMore," is State Street's matching gift program in which the company matches an employee's fulfilled fundraising pledges for nonprofit organizations. In 2010, State Street employees contributed over $4 million to nonprofit organizations via GiveMore and CollectMore, and State Street contributed $4.2 million in donation matches. Learn more about State Street's generous corporate giving program. Read about four more unique corporate giving programs.